This Word Brain Teaser is to Test your Brain. You don't have to be English language genius to solve this Word Brain Teaser. However you need to think differently and think out of box to come up with the words which satisfy the description given in Puzzle Picture. Lets see how many words you can come across to solve this Word Brain Teaser? 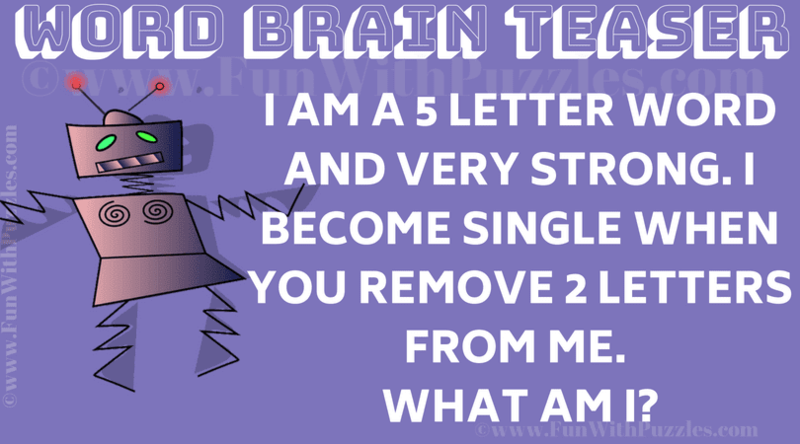 Can you solve this Word Brain Teaser? Answer of this "Brain Testing Word Brain Teaser", can be viewed by clicking on answer button. Please do give your best try before looking at the answer.